“Dr. 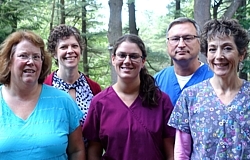 C” and His Staff Offer Optimal Family Dental Care! to ensure the best treatment plans for each individual patient. We would like to welcome you to our dental practice and thank you for taking your time to consider Cielinski Family Dentistry for your dental needs. Our goal is to provide you with the very best dental care available today in a comfortable and professional manner. We intend to treat you with the same honesty, compassion, and quality of care that we would give to our own families. If you are already a patient, thank you for visiting our site! We are a full service, family-oriented dental office. We provide a number of services for patients of all ages. Our experienced and friendly staff work hard to meet your dental needs and are here to assist you with a pleasant visit. 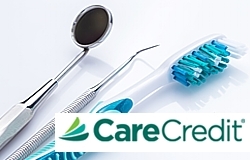 We offer a payment plan through Care Credit and we will help assist you with your dental insurance forms. 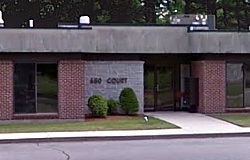 Located on Court Street in the lovely city of Keene, our dental visits are scheduled Monday-Thursday, by appointment only. September - May: 8 a.m. to 4:45 p.m.
June - August: 7 a.m. to 3:30 p.m. Copyright © 2019 Cielinski Family Dental. All rights reserved.